Our Public Relations Policy – Acacia Maden İşletmeleri A.Ş. The priority of Acacia Mining is creating a positive value through environmental, social and economic interactions in any areas of operation. Contribute to environmental, economic and social development in settlements within the project impact area. 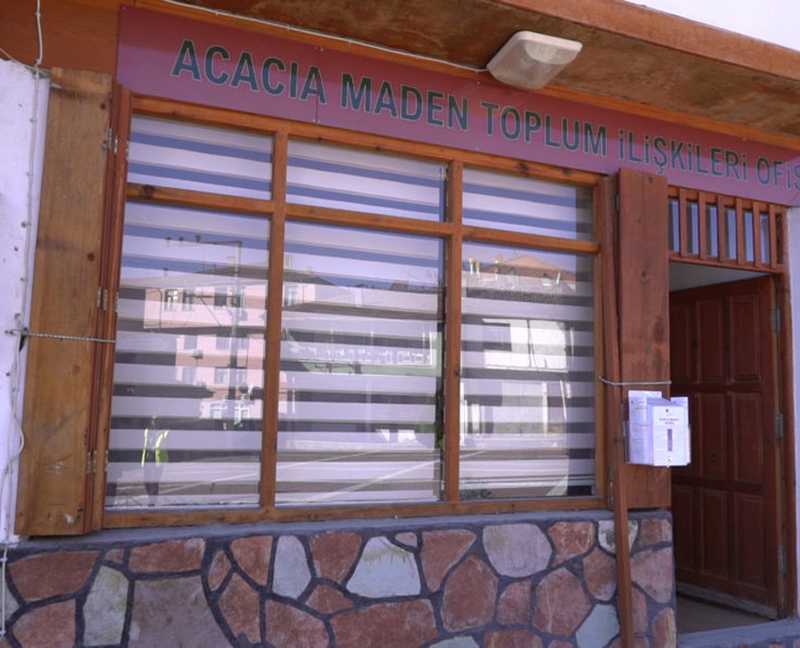 Acacia Mining Company has implemented a “Corporate Social Responsibility Policy” from the beginning of Gokirmak Copper Mine Project. As a matter of its Corporate Social Responsibility Policy and transparency, Acacia regularly shares all activities implemented in the scope of social management plans, policies and programs with its stakeholders. Adopting the approach that will provide maximum contribution to economic and social development, we take care to provide the necessary social support to our stakeholders living in the region where Gökırmak Copper Mine is located. The main aim of our Social Development Plan prepared in accordance with international standards is to effectively implement various development projects, especially in education, health, environment and infrastructure. In line with this target, we continue to develop new projects in the following areas and continue our works in this direction. We prioritize the support of local people for innovative initiatives. A “Community Relations Office” was opened in Hanonu district for the local people to reach us easily. “Gokirmak Copper Mine Stakeholder Advisory Committee” was established with the participation of opinion leaders of region in order to determine the region’s development and the needs of the region correctly and to prepare new development projects. Acacia Mining Company played a big part in opening of the Mining Technologies Department at the Multi-Program Anatolian High School in Hanönü District. With the initiative of Acacia, a protocol was signed with the Hanönü District National Education Directorate to open a Department of Mining Technologies in 2017. This department started for education with 16 students enrolled at the beginning of 2018 – 2019 session. Vocational courses for various fields of occupation were opened to meet our requests with helps of Public Education Center and KOSGEB (small and medium industry development organization). As of today, 103 participants successfully completed their courses and most of them found a chance of employment in their education subjects. In order to contribute to the economy of the region, preliminary socio-economic researches have been made within the scope of the Livelihood Restoration Plan and programs are prepared accordingly. In order to support animal husbandry in the region and to increase livelihoods, new pasture areas and improvement of existing pasture areas were carried out. Besides, in order to support agricultural activities which are the main livelihoods of the people and to increase the irrigated farming areas, concrete water channels were built in various regions and permanent water supply was provided to 63 different agricultural land (total area over 450 decare). 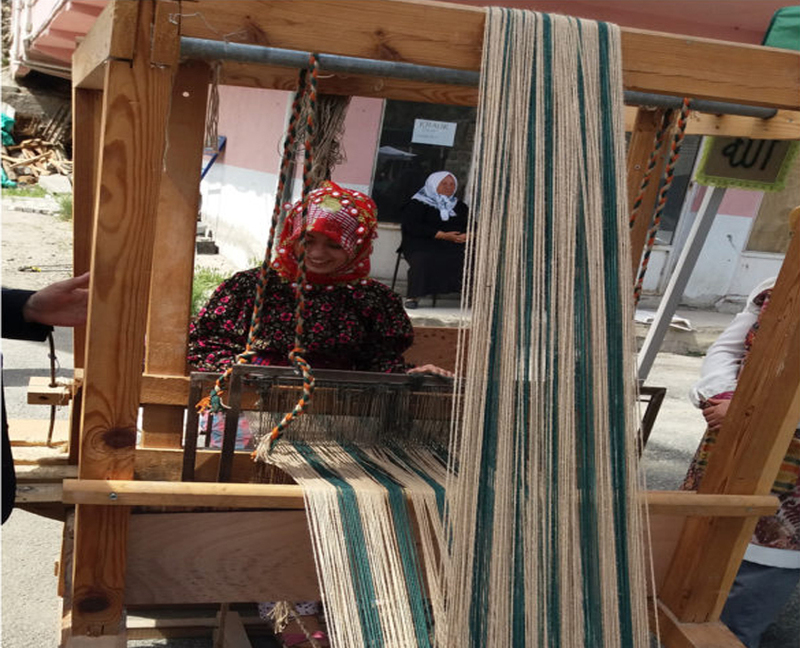 In 2016, “Hanonu Women Entrepreneurs Association” was established with the intense efforts of Acacia in order to provide various employment opportunities for women in the region and to strengthen their social relations. Under the leadership of Acacia, catering establishments in the region came together to establish a commercial catering service company. The daily meal needs of the employees of Gökırmak Copper Mine are met from this company. With this project, sustainable economic opportunities have been created and entrepreneurship opportunity has been put forward for the needs of the community. In line with the same objective, Acacia has made attempts to establish a transportation cooperative in 2015. In order to meet various transportation requirements of Gökırmak Copper Mine, projects are being developed to increase the capacity of the cooperative and in cooperation with the local community.